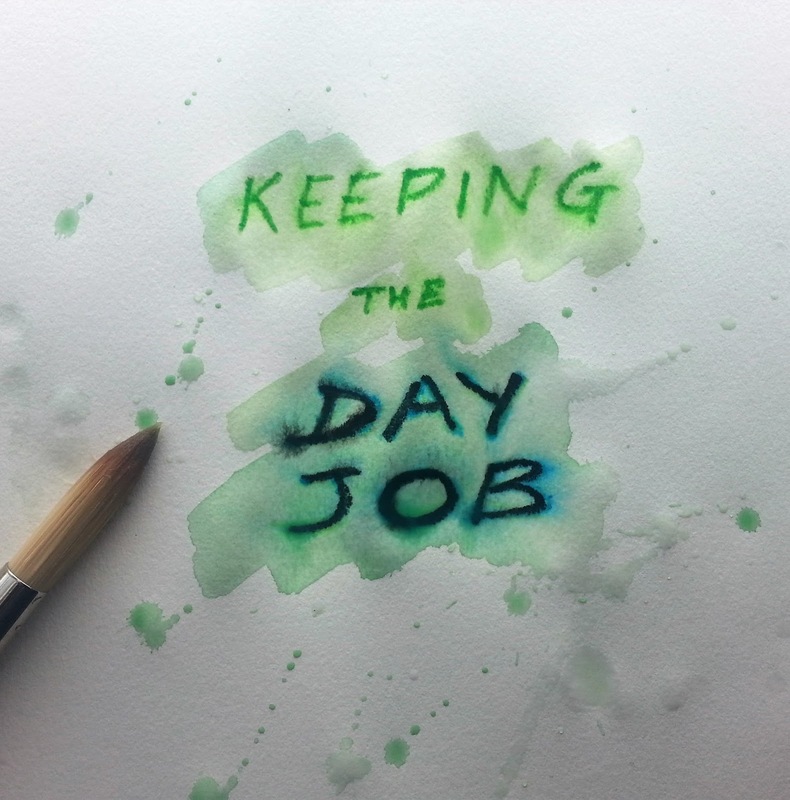 Can a day job be a good thing for artists, musicians and creatives? Or is it simply a distraction? So often, young people who hope to carve out creative careers for themselves are told, “you can’t make money from that”. Well, that’s plain wrong. There are people out there, plenty of people, who are making a living from art, design, music, performance, writing… well, every and any kind of artform you can think of. When I say widen your outlook, I mean think about all of the varied aspects of your chosen artform. What goes into the creation of that industry as a whole? Art isn’t only about selling paintings, and music isn’t only about being on stage. Those are only the ‘typical’ end of the wedge, the tropes that get wheeled out time and again for movie and book characters because most of us recognise and understand them. Going into every kind of job available for every kind of creative medium would take forever, so right now I’m going to focus on the general role of the support job. As I’m an artist by trade I’ll focus on art, but the same principles apply to any unpaid or as-yet-unestablished vocation – for example, I have friends who’ve become full-time religious missionaries using the same principles. I’ve heard my son say glibly that he wants to go into music… of course, all kids want to be pop stars at some point, but I didn’t just shoot him down. Instead, I encouraged him to learn about all aspects of the music industry – production and publishing, which is where the real money is. I also told him that most creatives have to have two jobs, at least at the beginning of their working lives. The thing about having a “day job” is that it might be held in some derision by certain snooty types, but it can actually give you creative freedom. I was thinking about this as I stood drawing a picture of my cat. I don’t actually do pet portraits, but I started because I saw an exhibition call-out for a show concerning cats. I thought I’d give it a go, but as the piece progressed I decided not to enter the show. My heart wasn’t in what I was doing and it wasn’t a true reflection of my work, so it would have only produced a flop by all accounts. I’m not a “jobbing” artist. I don’t have to draw or paint anything I don’t want to, because I have a part-time job that pays my mortgage and bills. The things I make aren’t dictated by buyers or gallerists – I can choose to work only on what I want to. So, that’s one less exhibition entered, but my bills will still be paid and I now have either have a piece I can rework, or an experience I’ve learned from. Or just an analogy for my blog! What kind of support job is best? Well, what’s best for you? 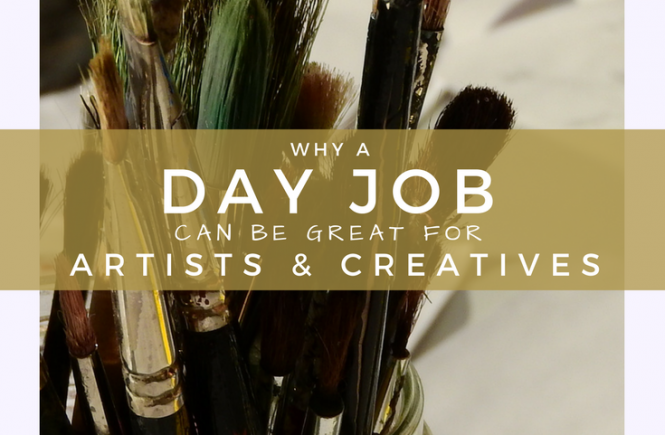 You may be able to find work in a creative field, but many creative jobs are poorly paid in relation to other industries – because there are so many people who are willing to work for less either because of enjoying the work, or just believing in a dream. Yes, I’m pointing at the scourge of unpaid internships. Grrr. It might be easier to support yourself with a part-time job that’s totally unrelated to your field of interest than to work long hours at a job that pays mostly with its title. What matters most is how you choose to define yourself. If your answer to the question, “what do you do for a living?” starts with your salaried job, you’ll probably be unhappy with anything less than a job in your chosen field. If you couldn’t care less about what brings in the beans, then you could be better off compartmentalising your employment and your vocation, and working away until the latter can become the former. Well, confession time – I do care a bit. I’d probably have been much better off studying accountancy or some other line of work stereotypically opposed to art. What do I do? I work as an art technician. Art technician sounds great, doesn’t it? Well, it could be the best support gig ever for an artist! Keeping skills sharp, working with new materials, engaging with art on a daily basis – what’s not to like? Here it is – technicians are often overlooked in every industry. We get less pay than our colleagues, but often it’s getting less respect that causes the real problem. This isn’t always easy to brush off, but having an independent definition of yourself helps you to ignore other people and their attitudes, and carry on with whatever you choose to do to support yourself whilst pursuing other goals. Should you go into teaching? Many people go into teaching their artform because it’s a clear way to make a living from it. It’s a well-respected profession, which means that if you do tend to care what other people think about your job title, you’ll probably get enough gratification from saying, “I’m a music/art/performance studies teacher”, etc, to make it worthwhile despite the stress that can often come with the job. However, giving private lessons or teaching evening classes are very, very different to becoming a teacher. If you imagine teaching to be anything like wafting into a classroom and delivering an inspired monologue to a small crowd of adoring fans, you’ll be in for a prickly surprise. Teaching (in the UK) is a highly regulated and structured profession, with more bureaucracy, paperwork, targets and yes, stress, than most people realise. 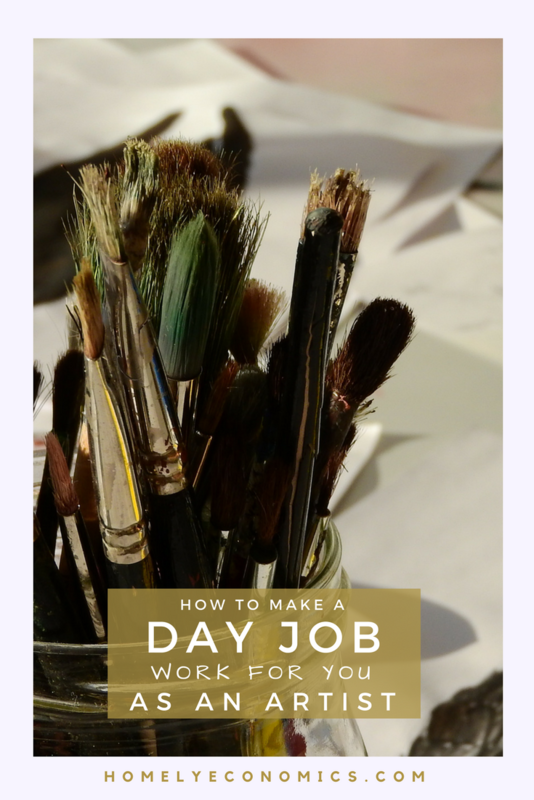 Of course, it is possible to work full-time in teaching and maintain a creative practice, but it’s definitely not easy, and I state this having worked alongside art educators for several years. I’ve often been tempted by the idea of teaching, mostly for my ego, as I could earn much more as a teacher than as a technician. 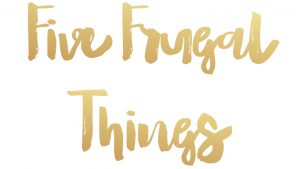 Yet I know that it would take up much more of my time and energy, even working the same part-time hours that I do right now, and would leave less time and energy for my art, my writing, my volunteer work and this blog – things that I enjoy. The same thing goes for other art industry-related professions, not just teaching; I’m often swayed by gallery management, curation or project management, but the fact remains that more pay and prestige are usually exchanged for either more responsibility or more time on the job. Few of the jobs I’m tempted by offer similar part-time hours. I’d make a lot more money if I worked full time, of course, but there are only so many hours in a day, and only so much steam in me… I’d soon run out of steam trying to do all of my jobs on top of a full time job. Hey, I run out of steam as it is! 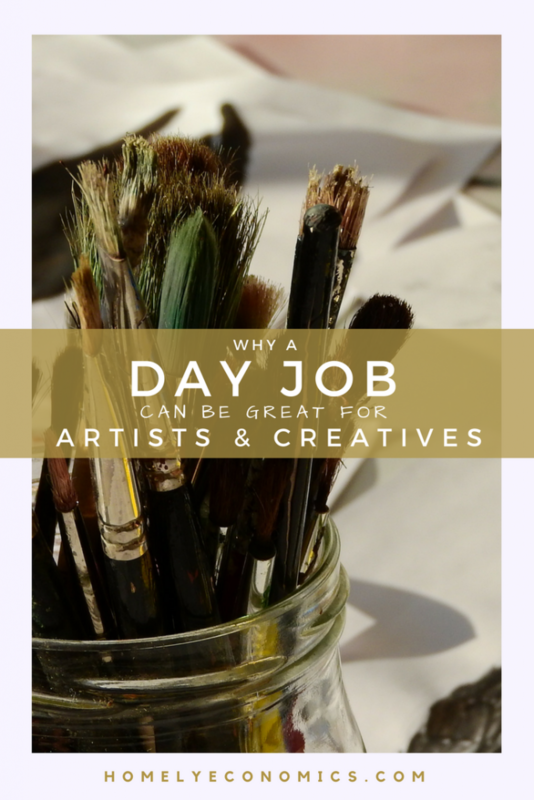 Whilst working your support job, you should be actively pursuing your creative work, whether that’s gigging or making art. If you’re not doing that, the 9-5 gig isn’t a support job, it’s just a job! If this is the path you’ve chosen to go down, accept that you have two jobs and you’ll need to actually work at both. I’m sure some may disagree with me, but I’m of the opinion that working a full-time support job is too much. 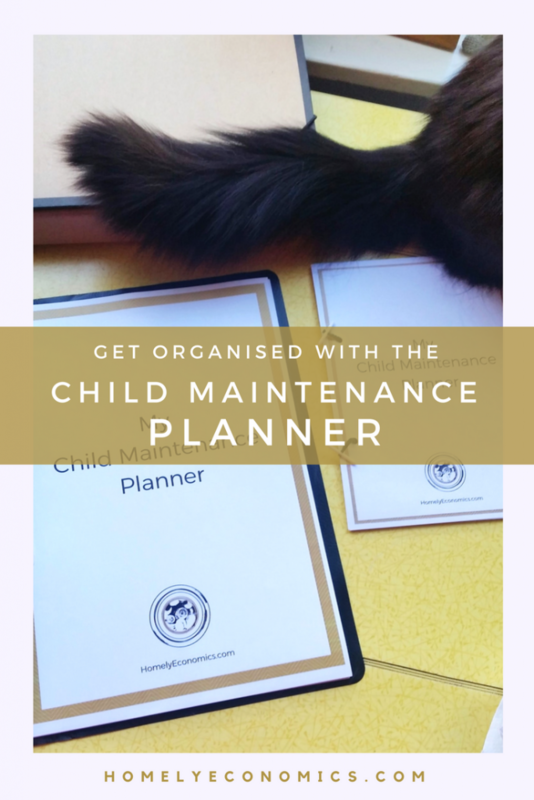 I do have a family to look after as well, so in my circumstances it would be impossible for me to cope – something would have to give, and of course it would be my art practice in that situation. My answer has been to cut down on our outgoings and expenses in order to need less income. Simple stuff, but not as popular a solution as it should be. When are you a success? Are you only a success as a creative if you can finally quit the day job? We have a flawed concept of being successful only in relation to how much money we can earn through some activity. 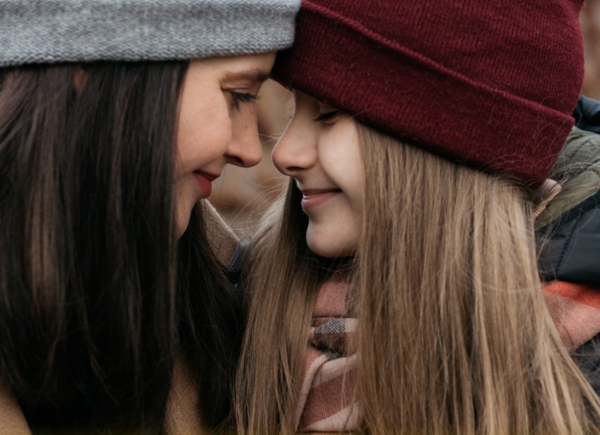 If it was all about money, there’d be no such thing as a successful parent, for example. 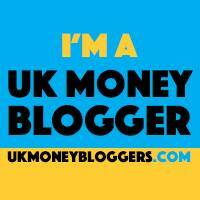 Try this instead: being able to support yourself financially, whilst having time and energy left to do what you want. Yep – only what you want, not what you think you should be doing, or what someone else thinks you should be doing. I believe that an all-or-nothing culture surrounding creativity fuels a lot of unproductive and damaging myths and habits. Accepting this culture can lead to mental ill-health as well as forcing people to work for free (for someone else’s benefit) because they think they need to do this to “succeed”. Of course, there may come a point where you’ll need to decide whether or not to ditch the day job and go all-in with your creative work… there’s always an element of risk to this, but that’s unavoidable. What you can do is plan ahead for this point. After all, if your goal is to work full-time in your artform you’ll need to have a plan, otherwise it’s a dream, not a goal. How do you minimise the risk? Budget and save. Boring and simple. 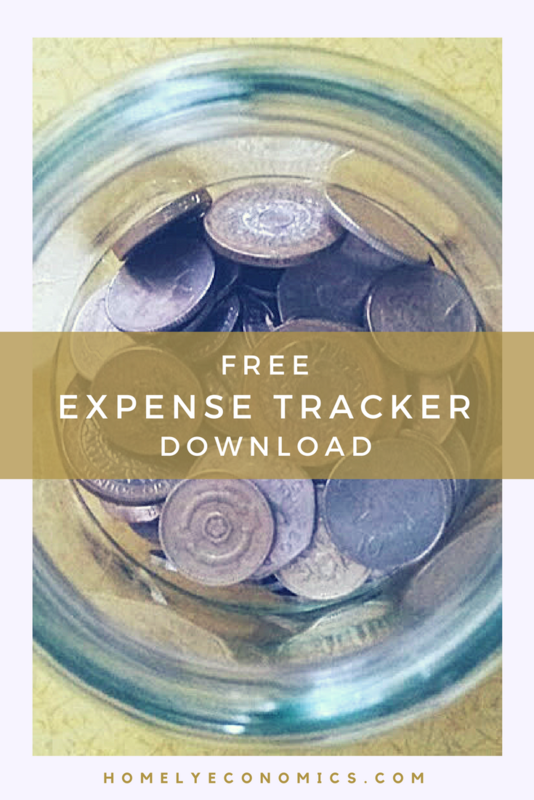 From the time you start working at your support job, start setting some savings aside for your freedom fund. Where’s the rent for that dream studio going to come from otherwise? Set a time limit to review your progress and think about what you want to accomplish and what you want to change. After some time (maybe every 6 months) of working and networking, you should have an idea of what’s going well for you and what you’re not happy with. It’s ok to review your goals; you’re going to grow and change with time, and besides, your circumstances may not want to play along with your plans. Maybe you’ll decide to leave the day job… maybe you’ll find one you enjoy so much that you’ll never want to leave! As for me, well, I’ve been spending far more time recently looking around at jobs than working on my art. Now it’s time to go to work for myself – finish a portrait, prepare some surfaces, research exhibitions and review my goals. What are your thoughts about your day job, if you have, or had, one? If you want to talk more about the ideas in this post, join me in my Facebook group, Make Art, Save (And Make!) Money. I’d love to see you there! 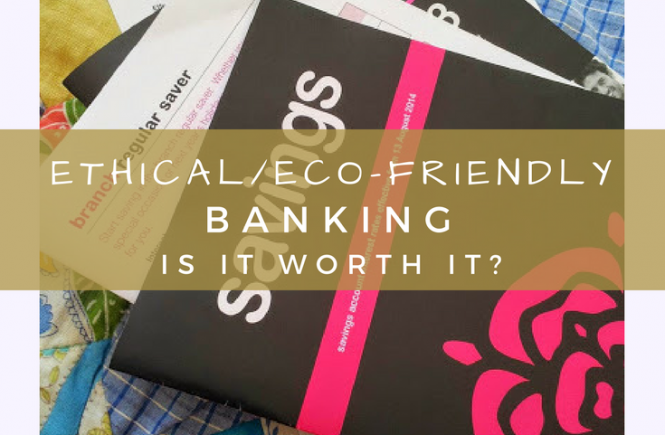 Ethical And Eco-Friendly Banking – Is It Worth It?